How can I reach the island? How do I fight him? Where are the Stone Altars? What are the Urn and the Zombies for? Where do I find the reward when it dies? 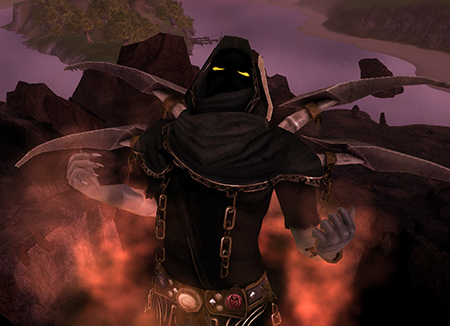 The Soul Monger appears in the Ancestor's Lake. 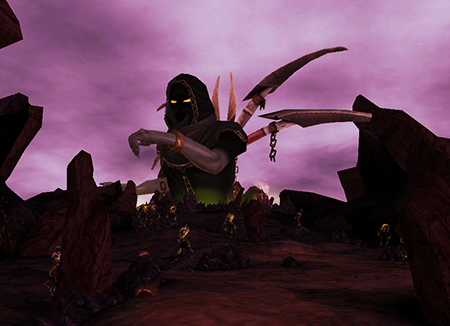 This is the lake we can find right next to the Central Island, at the center of the 3 realms' war zones. It's quite easy to realize he's showing up, as the island emerges from the bottom of the lake and, when doing so, it shatters the earth and makes the whole world tremble. At the docks of each realm a new boat becomes available, which features a greenish smoky signal, once both the Island and the Soul Monger finish spawning. Interacting with these boats by double-clicking will immediately teleport you to the island. I made it to the island. How do I fight him? 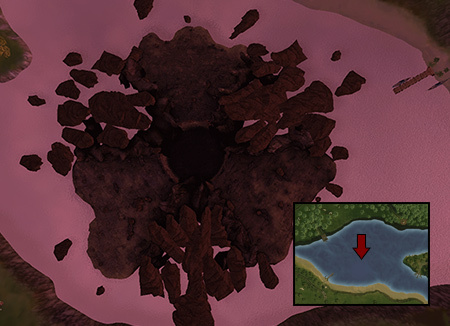 After a quick glance at the Island's soil, we'll notice small rocks with a small red glow. These are anti-necromagic rocks. 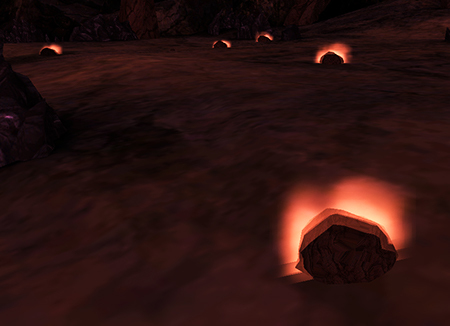 These rocks are required to charge the Soul Monger's altars of the magic that will damage it. Once you pick them up from the ground, we only have one minute to take them there. 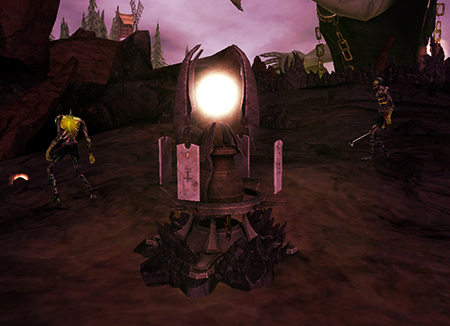 The Stone Altars are placed just in front of the Soul Monger in the border of its crater. 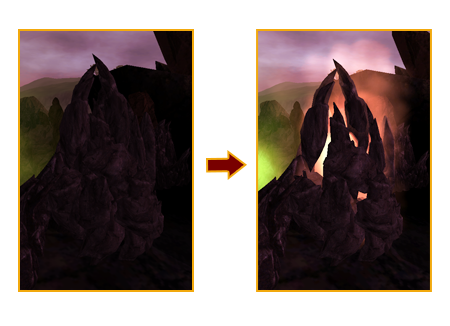 Once we have taken the necessary rocks to activate them, they'll start glowing and will become attack-able. Once we fully weaken it, it'll go down and explode releasing it's anti-death magic and we'll notice the Soul Monger's health going down a bit and thus, we should proceed to do the same with more altars as they reappear. An artifact appeared, along with many Zombies. What's happening? The Soul Monger needs to recover from the damage he received, so it will summon his urn every now and then, which will continuously spawn zombie hordes until destroyed. The damage Zombies make will progressively heal the Soul Monger, which is why it becomes fundamental to destroy both the urns and the undead soldiers it invokes. The Soul Monger has been defeated, but I see no reward in my inventory. Where is it? Once defeated, a green chest makes itself present in the island, near the boats that allow you to go back to your War Zone. 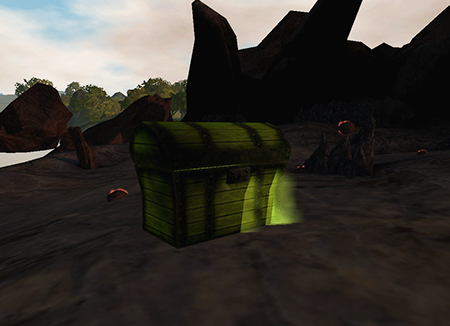 This chest will only disappear after a five minutes, allowing everyone to interact with it and get their reward. A few moments later after the chest disappears, we will be taken back to our pier and the world as we know it will go on, relieved. For the moment!